Brexit: Is it affecting UK tourism for the better or worse? Research has suggested that international travellers are seeing the UK as a popular destination. When surveying over 7,000 international holidaymakers, for example, Barclays’ Destination UK report found that 97 per cent wish to see the UK in person within the coming months or at least some point in the future. 60 per cent also stated that they were now more interested in visiting the UK than they were 12 months previously. 67 per cent of respondents planning to visit London. 44 per cent planning to visit Scotland. 29 per cent planning to visit Wales. 24 per cent planning to visit Northern Ireland. 17 per cent planning to visit Yorkshire and Humberside. By being an attractive destination for international visitors, the UK’s economy has received a fantastic boost. This is because a survey conducted as part of the Barclays Destination UK report found that the average spend on accommodation by this group to be £667, along with £453 on shopping and £339 on food and drink. Official statistics from VisitBritain also revealed that international visitors spent a record £2.7 billion in just January and February 2017. That’s an increase of 11 per cent compared to 2016’s figures over the same two months. ABTA’s Travel Trends Report 2017 found that the number of domestic holidays taken throughout the UK jumped from the 64 per cent, which was logged in 2015, to 71 per cent that was recorded in 2016. The rise of the staycation is further spotlighted by Barclays. This is because in its Destination UK report, it was revealed that more than a third of adults across Britain are choosing to holiday closer to home this year, due to personal preference as opposed to limitations due to cost. 34 per cent cited choice as a main reason, stating ‘I would like to spend more time in the UK’. 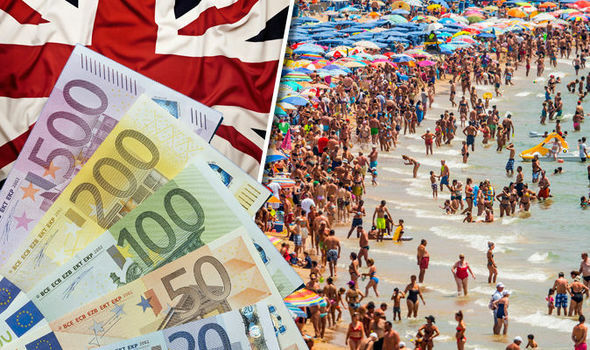 32 per cent cited cost as a main reason, stating ‘holidays in the UK are now more affordable’. 23 per cent cited experience as a main reason, stating ‘I enjoyed a recent UK holuday and so am keen to replicate this’. 15 per cent cited the number of activities available as a main reason, stating ‘there are more holiday activities in the UK than there were in the past’. 14 per cent cited time as a main reason, stating ‘I have less time than I have had previously to holiday abroad’. Barclays surveyed more than 2,000 UK holidaymakers too, where they found that the city break was on the minds of 40 per cent who had plans for a UK-based holiday. 37 per cent are more inclined to visit and stay in a rural spot. 30 per cent of respondents planning to visit the South West. 22 per cent planning to visit Scotland. 20 per cent planning to visit Wales. 20 per cent planning to visit Yorkshire and Humberside. 18 per cent planning to visit London. All of this is delivering the UK’s economy with an even greater boost, if Barclays’ Destination UK report is anything to go by. The average visitor taking a trip within the UK spends an average of £309 on accommodation throughout their staycation, as well as £152 on eating out, £121 on shopping and £72 on holiday parks – if that is part of their domestic getaway. Maintaining our ability to travel freely within Europe and beyond — this includes ensuring that UK airlines can continue to fly and also protecting rail, road and sea routes alike. Keeping visa-free travel between the UK and the EU — so to maintain both fast and efficient processes through the nation’s airports and ports. Protecting valuable consumer rights — this takes into account mobile roaming fees in Europe still being abolished and ensuring UK travellers have continued access to either free or reduced cost medical treatment, wherever they are in Europe through the European Health Insurance Cards scheme. Giving UK businesses operational stability — such as retaining access to employment markets and continuing to look into tax and border issues. Seizing opportunities for growth — for example, reducing Air Passenger Duty, cutting visa costs and working towards world-class connectivity. “We want to work with the Government to help make Brexit as successful as possible,” underlined Mark Tanzer, ABTA’s chief executive. Top Five Business Ideas for You! 15 Ways to Keep Your Home Safe.